As they say ‘first impressions count’. Staged in the Grand Hall of Olympia last week the Business Travel Show looked breezy and busy, and sparkled. Perhaps it was the natural light from the Victorian iron-framed glass roof. While the size of the show, in terms of square feet, was much the same as the previous venue, Earls Court 2, the show just seemed bigger. 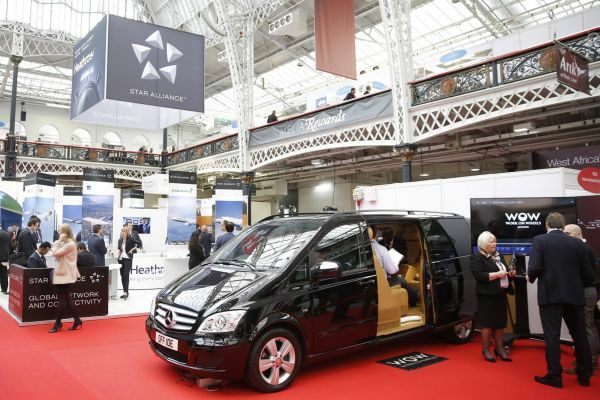 Early estimates point to a 15% increase in attendees – 7,427 corporate travel professionals attended the show compared to 6,459 in 2014, which in itself was a 10% rise year-on-year. 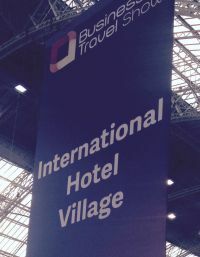 The Business Travel Show is Europe’s leading specialised event for European travel buyers and managers and 2015 was the biggest in its 21-year history with 252 exhibitors. Centaur Plc, the organiser, says that the re-booking for the 2016 event (24-25 February) was at a record level. 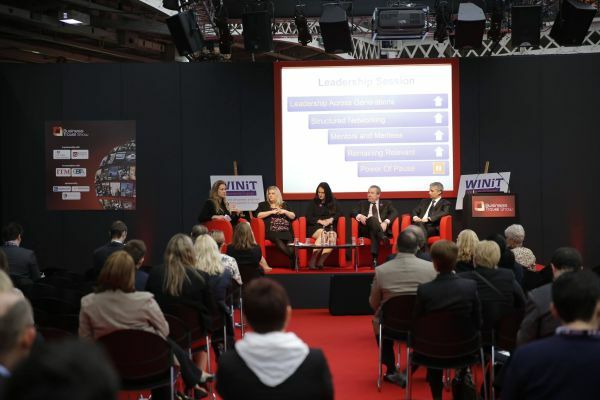 Fifty-eight conference sessions took place including the exclusive Hosted Buyer Pre-Show Conference on 24 February. Speakers included Google, Airbnb, Schott, Roche, Nomura, Bacardi, Carphone, LEGO, Sony Mobile, AON, Electronic Arts and WINiT. To put the show into context 33 airlines took part including what is now Britain’s largest in terms of passenger numbers, easyJet, with its biggest ever stand, but in keeping with its ethos, not extravagant. No sign of British Airways or Virgin Atlantic, but bmi Regional and Flybe were represented with Emirates taking a private suite in order to meet buyers attending the show from the UK and Europe. Star Alliance gathered its flock in a group stand, a well thought out and economical arrangement. Likewise Gatwick Airport too. The airline pavilion is proving more and more popular enabling carriers with small UK marketing budgets to see and be seen. Typical perhaps is Air Berlin, no longer offering services out of London but still having substantial off-line sales. One major airline was spotted at very senior European level, clearly taking a look for the future. Plenty of hotels were represented but with franchising the marketing is often left to the individual operator, the brand owner keeping a very low profile. No IHG or Radisson but Hilton Worldwide and Wyndham were to be seen. Melià had a large stand, likewise Millennium. The Hotel Village attracted a number of operators who wanted exposure but have a limited budget. Rather like with the Airline Pavilion it works well. The Serviced Apartment sector seems to be booming with the industry association (ASAP) attracting new members and mounting its own pavilion. Some members, SACO The Service Apartment Company for instance, taking independent space. At around £150 per night in central London serviced apartments are becoming more and more attractive. SACO also released the results of a survey which suggested that 62% of business travellers regard high-speed internet as a high priority. Egencia, the business travel company of Expedia, another exhibitor, came up with similar figures. Interestingly twice the amount of younger, rather than older, travellers see travelling as an important networking opportunity. Of all the many and varied talks, plenty of which were standing room only, the one that really caught the eye of Business Travel News, was entitled “Will the mobile be the death of travel management?” Glenville Morris, Head of Consulting at MTT (Mobile Travel Technology) gave an example of an initial booking via TMC (travel management company) for a trip to the Far East. Through various apps he was able to change his flight and room booking and keep a tab on his expenses as he went along, with nothing to do upon finally arriving home. The panel was split. 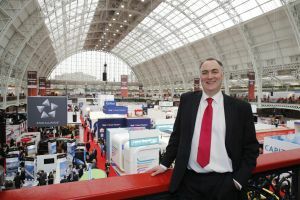 The Business Travel Show took up the whole of the ground floor of Olympia’s Grand Hall. The balcony was reserved for Travel Technology Europe 2015 with only the stairs to climb to visit. Sabre was probably the largest exhibitor and once again there was a whole programme of presentations, talks and discussions. BTN failed to get to ‘Social media for travel beginners’ by Steve Keenan, a Master Class. Perhaps next year!